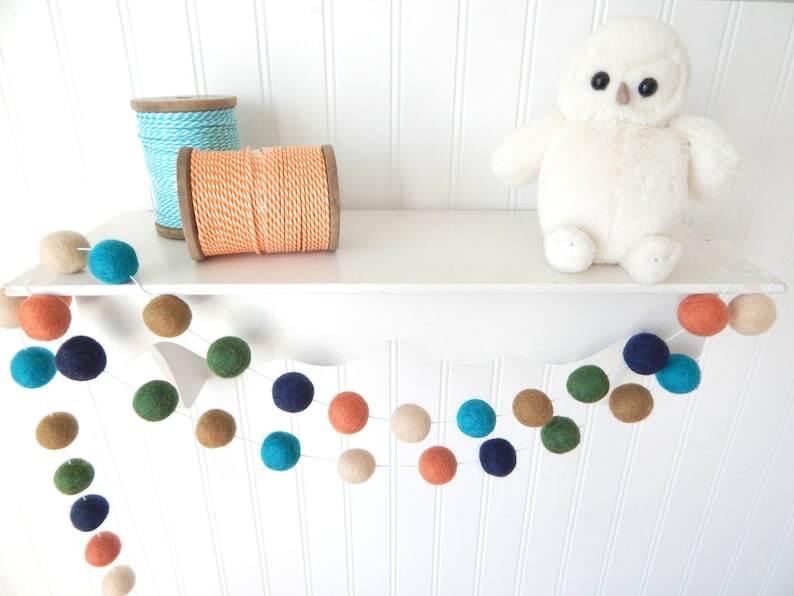 This adorable felt ball garland is made with alternating cream, sienna, navy, moss, tan, and peacock and will add a vibrant dash of color to your home or party. 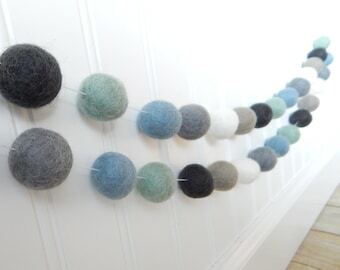 This colorful strand is composed of the plumpest 100% wool felt balls strung on strong, but subtle, white cord. Each of these fuzzy balls measures a generous 3/4 of an inch (2 cm). Perfect match with nursery decor!! Perfect decor to dress up her headboard! Absolutely love it!